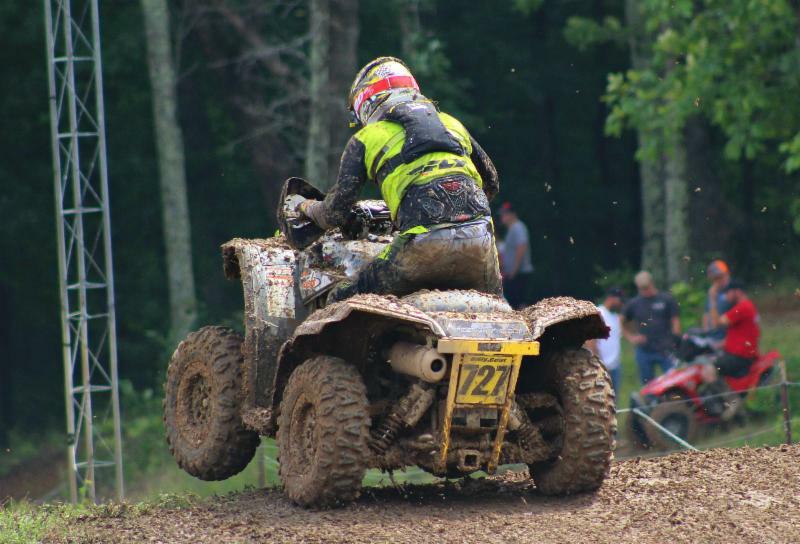 With four races yet to go in this 13-race national series, Racer Justin Wood wrapped up the 2017 GNCC ATV 4×4 Lites championship at the AMSOIL GNCC Wiseco John Penton national, at Sunday Creek Raceway in Millfield, Ohio. Wood has an insurmountable lead with seven class wins, and his closest challengers having only one win each. 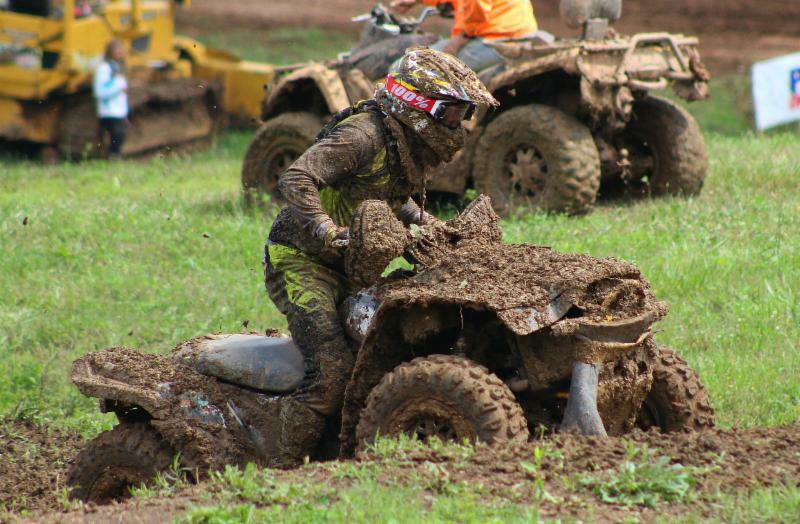 Wood told us, “I was committed to a family vacation in Florida that conflicted with this event due to a change in the GNCC schedule, but at the last minute we decided to roll back home. I made a call to my race family and they picked up my bike. It had only been washed since Snowshoe, with nothing else done to prepare it. So I drove all night straight to the John Penton. “We sprayed the radiator out at the trailer and went straight to the line. The bike ran great to the start line but then started acting up after the race started. We had a little mud in the clutch and a rip in the air filter; I know better to prep before a race but just couldn’t sit this one out, so there we were. “We were last off the line and had a rough go at getting the bike to feel comfortable. After two pit stops we began picking up the speed a bit and we went from sixth to second place. We were in this race. On the last lap we were 2:38 down from last-year’s champ, so we just put our head down and rolled on hard, grabbing the win while putting an additional two-minute lead on second place. Congratulations to Wood and his entire team and many, many supporters. Now What? The KYMCO brand of scooters, motorcycles, ATV’s, and Side by Sides, are exclusively distributed in North America by KYMCO USA. Founded in 1963, KYMCO-manufactured products are respected worldwide for their quality, value, and durability. KYMCO USA, wholly owned by Kwang Yang Motor Co. Ltd., has its sales, marketing, and distribution center in Spartanburg, SC. KYMCO USA serves over 500 dealers nationwide, building the KYMCO brand’s reputation and market share through superior value, new products, excellent dealer support, enthusiast events, race support and sponsorship, and strategic industry partnerships with other quality brands. Learn more at www.KYMCOUSA.com.